A pro-active approach to roof maintenance is necessary to protect a building’s most vital asset. 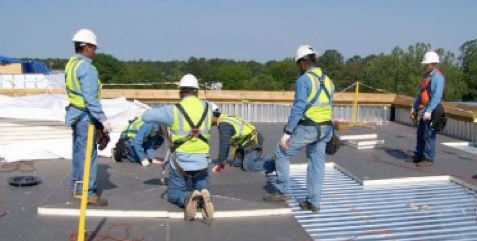 CRS’s Roof Asset Management Program is a comprehensive roof system evaluation and repair program. The program can be custom tailored to best suit the needs of each building owner or property management organization. The CRS Roof Asset Management Program is compatible with existing roof system warranties and is available on both warrantied and non-warrantied roof systems. The development and implementation of a structured roof maintenance program will not only prolong the life of a roof system but will also reduce costs by identifying and correcting roof system deficiencies before they can develop into widespread failures. A maintenance program allows for a planned, organized approach to management of a roof asset and allows for responsible, timely preparation of long term capital expenditures. To learn more about how the CRS Roof Asset Management Program can be custom tailored to your facility, please contact us at 301.454.0830.